A Bathing Ape, commonly called BAPE, is instantly recognizable to those in the know by the iconic ape logo. A representative of modern Japanese fashion, this streetwear brand has found fans and recognition all over the world. The core of BAPE designs is made up of variations on their famous ape logo. This brand is always innovating, offering fans fresh juxtapositions and unexpected combinations, often in the form of camouflage or other complex patterns combined with bold shapes and simple designs. 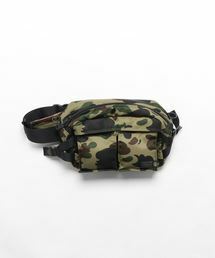 BAPE is also famous for their myriad collaborations that span industries and expand beyond the bounds of fashion, for instance creating packaging designs for everyday items. Their eye-catching designs make a bold statement, making this brand an enduring favorite among streetwear aficionados. A Bathing Ape was founded by designer Nigo (Tomoaki Nagao) in 1993. Nigo's first foray into fashion was Nowhere, a Harajuku store started in 1990 with his school friend Jun Takahashi, who launched fashion brand Undercover in the same year. Nowhere's print t-shirts became an enormous hit, and this experience led directly to Nigo starting his own brand. The brand is commonly called both BAPE and A Bathing Ape, but according to the designer the full name is "A Bathing Ape in Lukewarm Water," which draws inspiration from movie classic Planet of the Apes. The phrase is also a wry take on what Nigo saw as the indulgences of his contemporaries in Japanese youth culture. 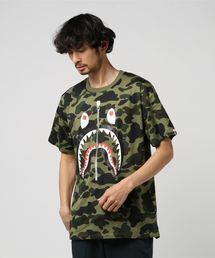 The core of BAPE's product offerings are printed t-shirts and hoodies, but their full collection includes a wide range of items such as shoes, hats, bags, and much more. The striking designs have proven incredibly popular with a new generation of streetwear-loving consumers. As well as the iconic ape logo, another frequent design element is stylized monkey character Milo, often appearing in women's and kids collections. A Bathing Ape was an early pioneer in collaborating with other brands and pop culture icons, with anime and game characters proving an especially popular well of inspiration. 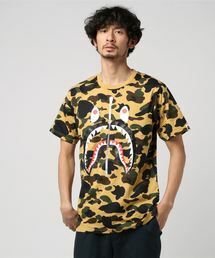 These popular tie-ups frequently feature bold graphics of beloved characters re-drawn in the characteristic BAPE style. Casual items like sweatshirts, hoodies and t-shirts form the foundation for most collaborative collections. Collaboration partners run the gamut from iconic games and anime to kawaii characters - whatever you're into, you can find a fresh and unique BAPE take on it!